The G 12 is a truly unique little yacht. At 12in long she is our smallest yacht in our G range . 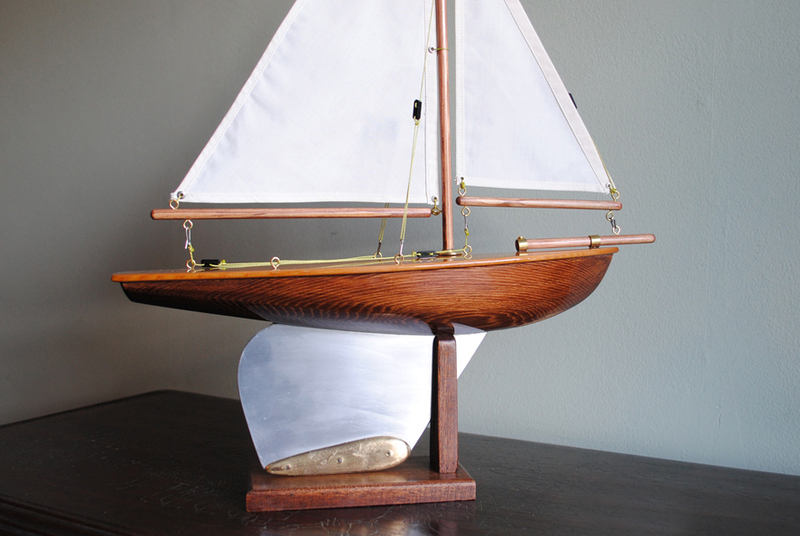 However don't be fooled by her size, she is every inch a miniature racing yacht. 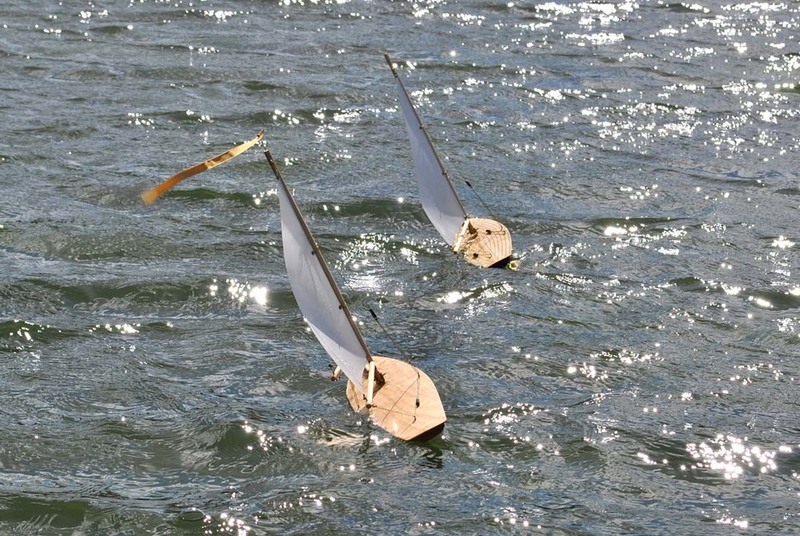 Using the same design features as used on our larger class racers the G12 is a finely engineered racing machine that cannot be compared to the traditional toy pond yacht. 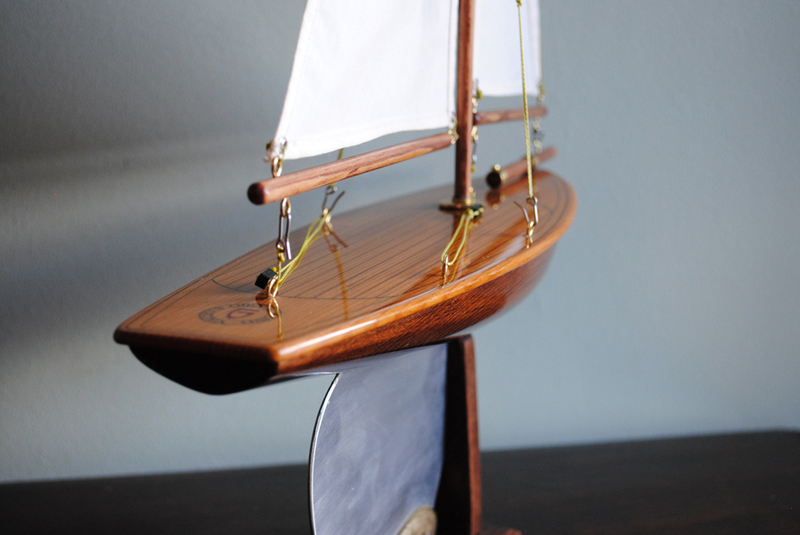 Many hours of testing lake side has produced a perfectly balanced little craft that can be sailed at all angles of sail simply by trimming the main and head sails. 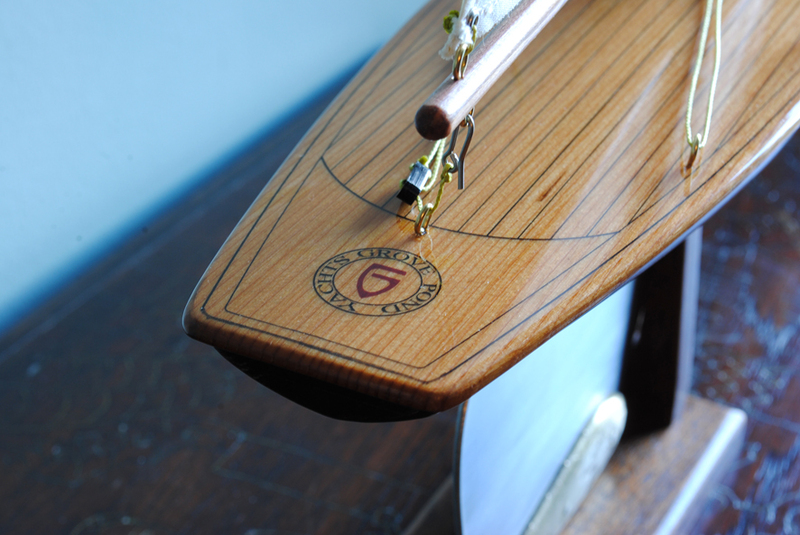 With the artistry of a violin, each yacht is hand built by Cliff Grove in his workshop on the banks of the river Tyne, England. 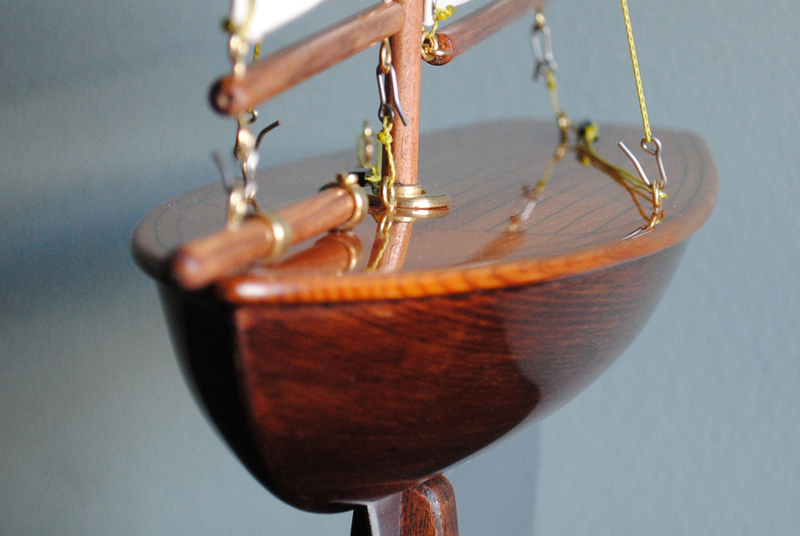 The combination of wood, brass and canvas finely crafted into a small sailing craft that can be enjoyed both on the water and on display at home. A perfect introduction to free sailing and a wonderful way to enjoy a sunny afternoon picnic, bringing generations together. If we do not have a G12 in stock we will make to order.